I continue to explore the world of 3D paper projects and am working hard at figuring out how to best share my cutting files with the world. 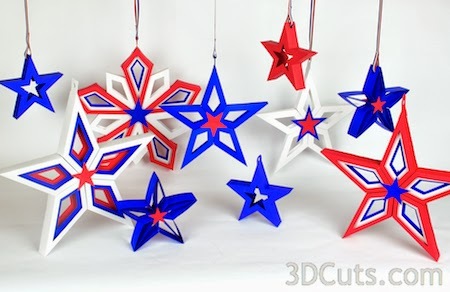 I have shared my new website with you at 3dcuts.com. 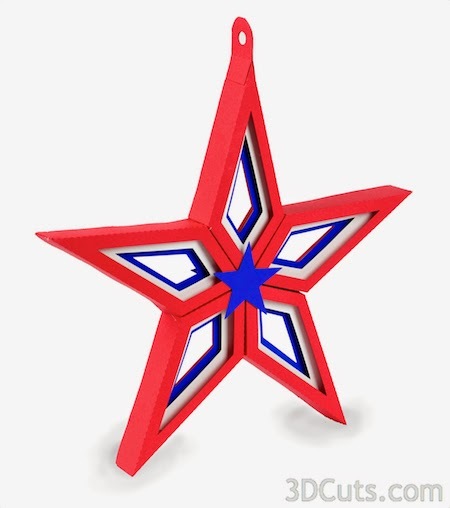 This week I put up some new star designs for folks to make. 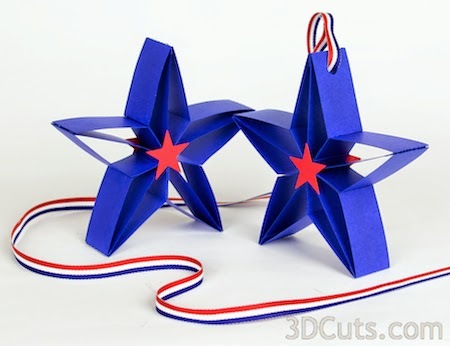 Here are a collection of stars I've made already. 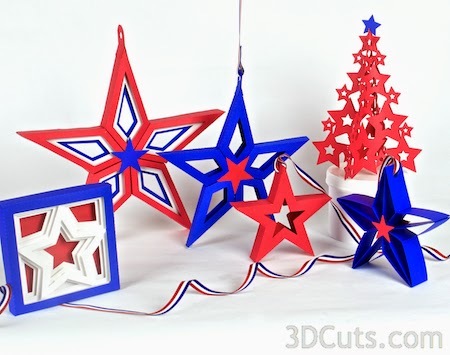 All these files are available at 3dcuts.com along with my Tree of Stars from last year and the shadow box star. 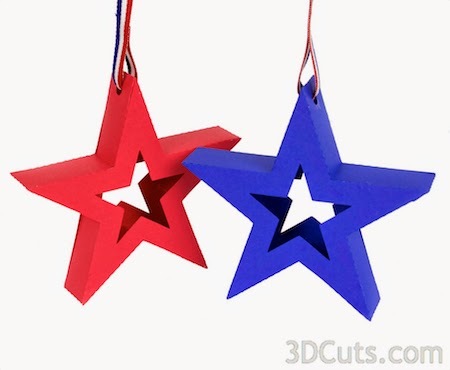 Thinking about how I will display them as Independence Day decorations. 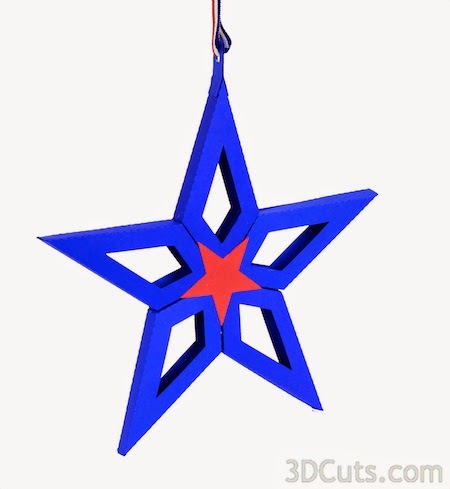 I am wondering how they will hold up on my porch. It is protected from the rain but they are only paper. Silhouette and Gluten Free Recipes!